2 bedroom + 2 bathroom townhouse on the quiet side of the secured courtyard in this conveniently located complex at 6th and Ash. End Unit. Huge gourmet open kitchen with tons of counter & cupboard space, high-end S/S appliances, gas stove, granite counters. Cherry hardwood floors. Gas fireplace in living room, plenty of natural light, over-sized windows. Main level features 2 bedrooms + 2 full bathrooms w/ in-suite laundry. Balcony on the upper living area and a patio at the front door. BBQ allowed. 1 parking and locker. Pets allowed & rentals allowed w/ restrct. Reasonable strata fees. False Creek Elementary, Kitsilano Secondary. 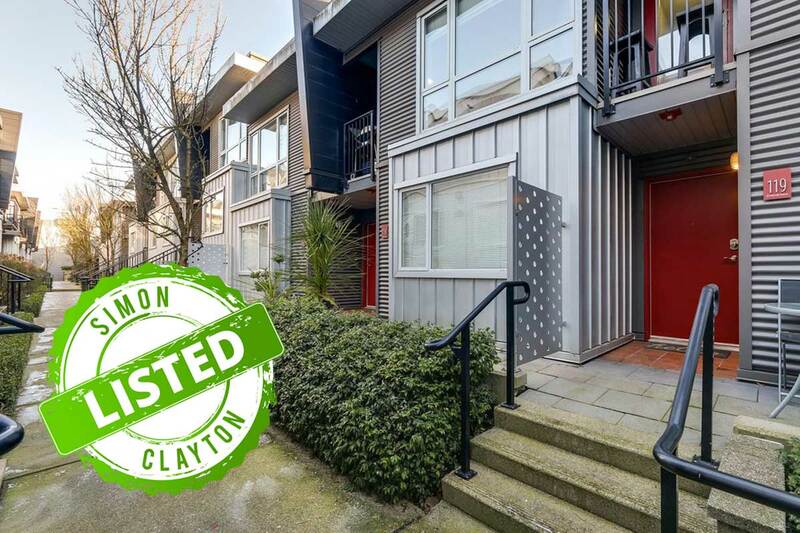 2-level home in a dynamic location: Granville Island, Seawall, and the Canada Line. Property DOES NOT face 6th Avenue and is very private.